When we are on a course of study to learn Ayurveda, it is sometimes helpful to get extra support. Our experienced tutors are available to provide online sessions for one-on-one support. Our tutors can address specific questions you may have on course content for any course we offer, and support deeper understanding and integration of the information presented. If you are not sure how to pursue your Ayurvedic studies, our tutors may be able to help you navigate those choices as well. These sessions are not designed to be consultations to address your personal health care questions or concerns, or those of your friends, family or patients, but rather to support your general education in Ayurveda. Sessions are conducted via either Skype or a conference call depending on your situation. (International phone numbers for conference calls are available for most countries). If you do well with structure and know that you would like to schedule 10 sessions, you can purchase a 10-pack bundle at a 10% discount. Once you’ve purchased either option, our office will contact you to schedule your sessions. If you have a tutor preference, kindly let us know this when we contact you. Any current student of any section of the Foundations of Āyurveda Part I or Part II is welcome to join a 30-90 minute live conference call, led by an experienced tutor, to address questions on course content. Since these group Q&A sessions are open to all students of the Foundations of Āyurveda Part I or II online courses, the number of participants may vary. Group sessions will run as long as there are at least 2 students registered for the session. If there are a lot of participants, it may not be possible to answer all questions, but it can be helpful to learn from other students’ questions. It can also help foster a feeling of community and support for getting through the material and keeping it alive. These sessions are not designed to be consultations to address your personal health care questions or concerns, or those of your friends, family or patients, but rather to support your general education in Ayurveda. 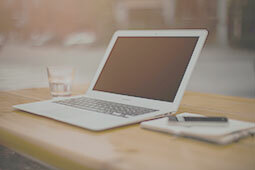 While we make efforts to ensure that our tutors are well educated in the material presented in our courses and in Dr. Claudia Welch’s books and teachings, our tutors have their own unique educations and backgrounds. 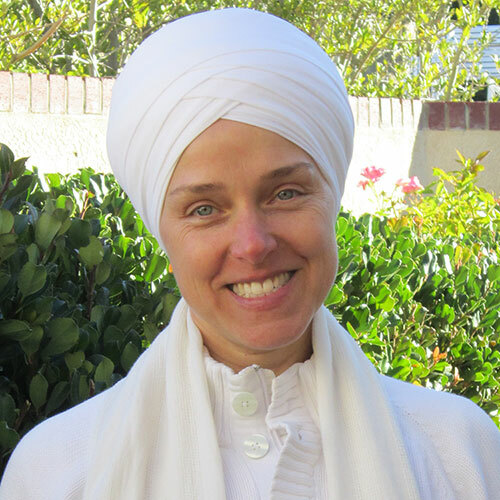 Dr. Claudia Welch is not responsible for any material the tutors may discus or present outside of the course content for Foundations of Āyurveda Part I or II online courses or her written material. You can purchase a single group Q&A session, or 10 sessions at a 10% discount, below. Once you make your purchase, we will contact you with information on how to join the call. (Please note: All sessions must be used within the time you have access to the course. There are no refunds for unused sessions). No Q&A sessions on major US holidays or US holiday weekends. Jiwan Shakti K. Genceli, PhD has served on the teaching faculty of the Āyurvedic Institute and as an Adjunct Faculty at Bastyr University in the Āyurvedic Masters of Science Program. She has also served as a tutor for medical professionals learning Āyurveda, tailoring the information to meet their needs, goals, and schedule. Her studies in Āyurveda culminated in 3 years with Dr. Vasant Lad at the Āyurvedic Institute in New Mexico and in his clinics in India. She has worked in Panchakarma facilities with Naturopathic and Āyurvedic doctors and has been an Āyurvedic Practitioner since 2009. Her Āyurvedic studies and training builds on her background in Yoga and Massage Therapy and balance her earlier analytical career as an Engineering Scientist in Space and Aerospace. She enjoys bringing seemingly difficult concepts into simple practical realities. Upāsana owns Balanced Living Ayurveda in Eugene, Oregon. She received her formal training in Ayurveda and Yoga in 2009-2010 at The Ayurvedic Institute, studying with Dr. Vasant Lad & Dr. Claudia Welch. Upāsana has developed a successful private practice over the past 8 years, offering Ayurvedic education, wellness support, shirodhara treatments and personalized yoga instruction to her clients. 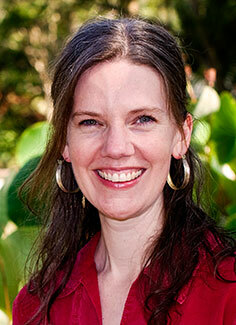 She is a professional member of the National Ayurvedic Medical Association and the Yoga Alliance. With a special interest in women’s health, Upāsana co-founded Wise Woman Healing Arts in 2014, offering educational workshops, restorative retreats and cooking classes. It is her heart’s desire to bring the timeless wisdom of Ayurveda to modern health concerns and help people find and maintain balance and peaceful well-being while living busy lives. Ivy is an Ayurvedic health practitioner and yoga therapist. 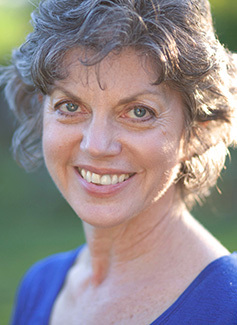 A certified yoga teacher since 2002, she is a faculty member of the The Ayurvedic Institute in Albuquerque, New Mexico. Her clinical practice focuses on women’s health, digestive concerns, and stress-related issues like anxiety, insomnia and depression. She also conducts online workshops, cleanses, and consultations to help clients find ease in their bodies and joy in their life. Ivy received her Ayurvedic Health Practitioner certification from Dr. Vasant Lad after an intensive 2-year clinical program at the Ayurvedic Institute. She also studied Ayurveda in southern India for 5 months with her primary teacher there, Dr. A.R. Ramadas. She has completed a 300-hour teacher training in Ayuryoga, as well as 200-hour teacher trainings at Integrative Yoga Therapy and Kripalu Yoga Center. Ivy has taught yoga to staff at a Harvard teaching hospital, patients in a cancer treatment center, and inmates in the Oregon and Texas prison systems. A dedicated student of Vedic chant and Sanskrit, she is fascinated by the power of sound, poetry and the spoken word in healing. 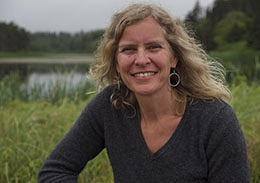 A professional level member of the National Ayurvedic Medical Association and the International Association of Yoga Therapists, Ivy has a master’s degree in counseling psychology from Boston College, and a bachelor’s in literature from Brown University. She holds a life-long commitment to helping people find their own path to health and joy. 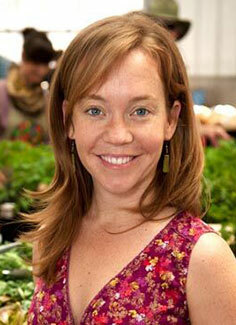 Emily is the founder of Agni Ayurveda LLC located in Santa Fe, NM. She holds a Bachelor of Science degree in nursing with a specialization in Neuroscience and Hospice. She worked internationally in China and Nepal with Global Volunteer Network, Cambodia with Angkor Hospital for Children and Tanzania with St. Lucia Nursing Home. After she returned home to NM, she graduated with a degree in Culinary Arts. In 2009, Emily studied under Dr. Vasant Lad at The Ayurvedic Institute and then for 6 months at Vaidyagrama–An Ayurvedic Eco- Healing Village in southern India where she furthered her study of Ayurveda and Panchakarma therapy with chief physician, Dr. Ramadas. Emily is a graduate from the Institute for Integrative Nutrition and a member of the American Association of Drugless Practitioners AADP. Her practice is inspired by the depth and profound healing that the ancient teachings of Ayurveda have brought to her life and the lives of the people she loves.